Not really. This site’s a decade old. But, I’ve been putting off its development until roughly now. Left to develop are content [that seems to be useful stuff on the ’net] and revision of form and function. About the site’s appearance: I’m plotting toward something similar to its current state, but different; more on that once it’s done, rendering this whole sentence a bit meaningless—there’ll come a day when no evidence will remain that the site had once looked like it’ll no longer have looked once it doesn’t look the way it looks only for now, that being no longer the case by then, which will by then be the present and which won’t include the theme it’ll no longer have…or something. As for content: that’s more about actual news. 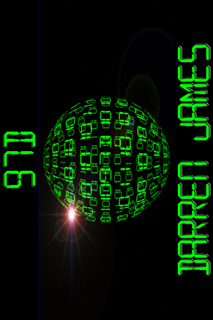 On which note, I’ve got a bit: 97D [LK0] is now available for the Kindle, supposing that the only reason you’d ever bought a Kindle was so you could read the novel; if not, it’s available anyway. The intention—since 97D is a prequel to the rest of the S97S, wrtten after the fact—had been to make the thing available for free; but amazon.com aren’t okay with that. Instead, it’s as close to free as they’ll allow, which is US$0.99; technically, the book’s worth 99¢ or more; it’s just a bit annoying that they’re not letting me make it as free as I’d meant to make it. As for the rest of the S97S: there’s less news about all that, except that I’m kinda staring at the sourcefiles, trying to talk myself into coding several hundred thousand words into the minimal hypertext the Kindle can handle. I’ll get to it; it just won’t be today. Meanwhile, now that there’s more here than a hiddenish link to the Encyclopaedia Expurgatia, feel free to look around through that until I get more content added to 97D.com itself…. Copyright © 2010-2019 97D.com All rights reserved.